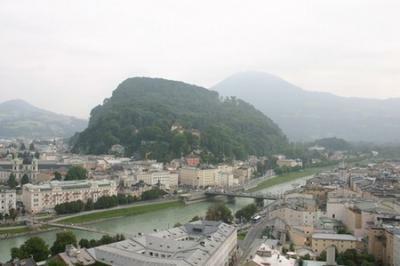 Salzburg's the 4th biggest city in Austria, covering just over 25 square miles. It's got a pretty compact city centre though, making it an easy place to find your way around. 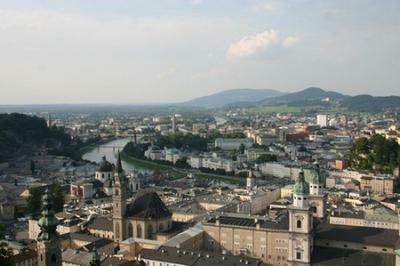 Generally, Salzburg is home to over 150,000 people. Of course during the major festivals, especially the Salzburg Festival in the summer, this number increases a lot with visitors from all over the world coming to spend some time in the city. In Salzburg the official language is German but lots of the locals speak some English too, especially those working at the various attractions. While in the city, you'll be using Euros. What is Salzburg's number one attraction? 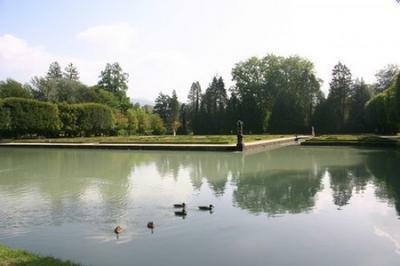 Hellbrunn, just outside the city, is probably the number one place to visit in Salzburg. 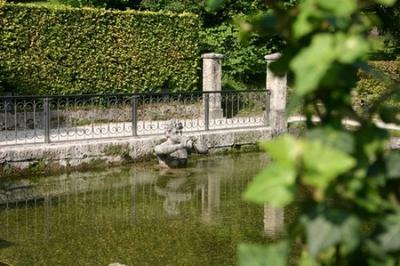 Because not only will you find the Hellbrunn Summer Palace here, you can also visit the world-famous trick fountains, wander around the picturesque grounds and see all the animals at Salzburg Zoo. The trick fountains are a lot of fun. You follow a guided tour through this area and learn all about the weird and wonderful quirks built into many of these fountains. A trip up to Mönchsberg, one of the mountains overlooking the city, provides great views and some really interesting places to visit. 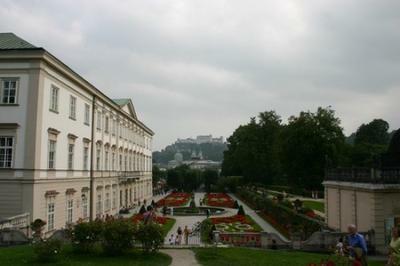 These include the Hohensalzburg Fortress and the Museum of Modern Art. 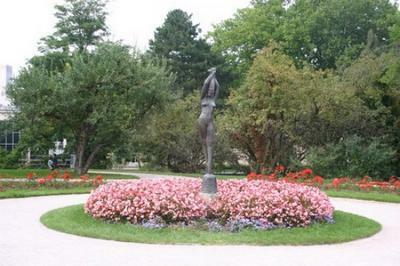 Try and check out Mirabell Gardens too. It's free to get in and you can stroll around for ages enjoying the bright flowers, dwarf garden, hedge theatre and fountains. There are lots of places to sit too, if you just want to take a break for a minute. 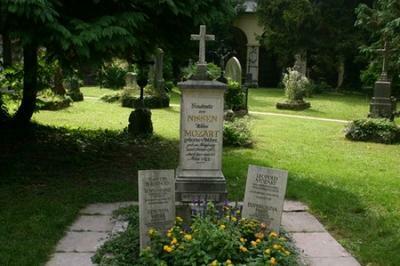 You can visit Mozart's Birthplace, located smack bang in the middle of Getreidegasse. 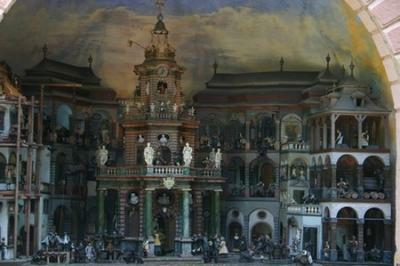 It's also a good plan to check out the interesting exhibits at the Salzburg Museum on Mozartplatz. Where can you find Salzburg's finest architecture? Pretty much everywhere, but more so in the Old Town area. Here you'll see many stunning examples of baroque architecture such as Salzburg Cathedral. What about shopping? Where should I go? 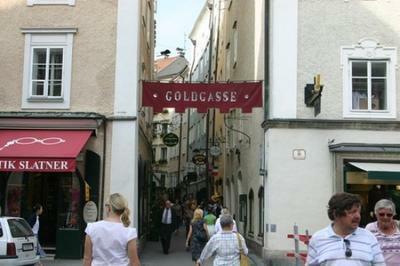 It's hard to miss all the shops along Getreidegasse, which is the city's main shopping street. A little different from many other city centre shopping thoroughfares, all the shops along this street must display wrought iron guild signs. So even if you're not shopping, it's a great place to have a wander. As a lot of the places to visit throughout the city charge admission fees, it might be a good idea to see about getting the Salzburg Card. Valid for 24, 48 or 72 hours, the cards cost €24, €32 or €37 respectively. 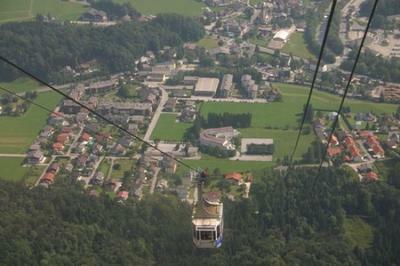 As well as covering entrance fees, this card also allows you to use the Untersberg cable car. Public transport is free with the card too. 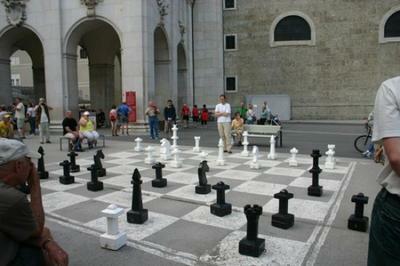 If you want to get one when you arrive, you can find the cards at the city’s main tourist office on Mozartplatz. 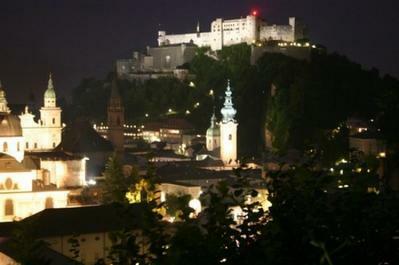 Is it expensive to go out in Salzburg? Not necessarily. If you're looking for a cheap night out, you'll be able to find a bar to suit your budget. Most of the bars don't have cover charges and even some of the nightclubs at places like The Republic are free too. Lots of places do happy hours or drinks specials. There are a lot of bars throughout the city, but Old Town is probably your best bet. Any good spots you'd recommend? A great place, popular with students, is Murphy's Law on Gstättengasse. Here you'll find WiFi, cheap drinks and a nightly happy hour. Beer gardens are a big thing in Salzburg and it's great to be able to sit outside on a hot summer night and enjoy a beer. One such place can be found at Die Weisse and Sudwerk (Rupertgasse). If rock music is your thing, you should try to check out the Rockhouse. Not only does this venue have its own bar, but it also hosts local and international rock bands on a regular basis. Some places are stricter that others about checking ID, so as with most cities, it's a good idea to bring some along just in case. 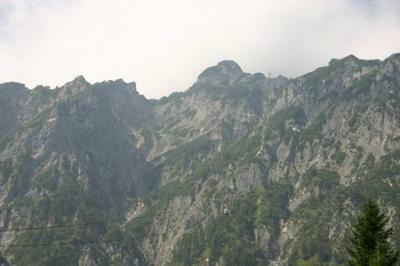 So, are the hills really alive with the sound of music? Ha! You could say that. Music is a really big part of life in Salzburg, considering that it’s the birthplace of Mozart and also the location used in the famous movie 'The Sound of Music'. You'll be hard pressed not to do a Julie Andrews impression of some stage during your visit at one of the many places you'll recognise from the film. It should be noted though, that the locals aren't especially fond of the movie. If you want to sample the classic side of things you have a lot of options here. 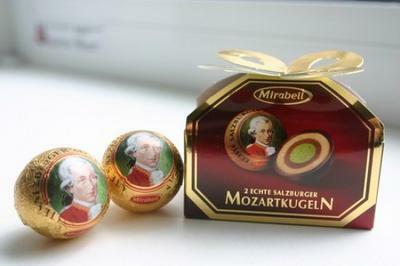 From the Mozart Dinner Concert, where you can enjoy some of Mozart's best known pieces along with a three course meal of traditional Austrian dishes, to free performances in one of the many squares. Is it expensive to eat out in Salzburg? It can be but if you look around you're sure to find a good bargain. Probably in Old Town around Getreidegasse and Griegsgasse, and also in the streets of the Alter Markt area. They are. 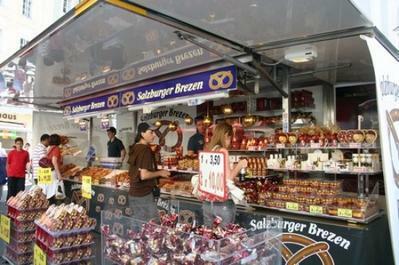 As well as a wide selection of places selling traditional Austrian foods, you'll also find Italian, Mexican, Indian, Chinese, Japanese and more. If you're up around Linzer Gasse, the Flöckner branch here is a good place for breakfast. There are a lot of breakfast specials on offer, as well as sandwiches, pizza, soups and drinks. Free WiFi is provided too. The Shakespeare Café on Hubert Sattler Gasse is a restaurant, bar and café that offers a wide selection of food like pastas, soups, salads and pizza. It’s quite trendy inside and there are lots of places to sit outside too. Keep an eye out for the great offers on the Mittagsmenü. For a bit of old-school charm, check out Café Tomaselli. 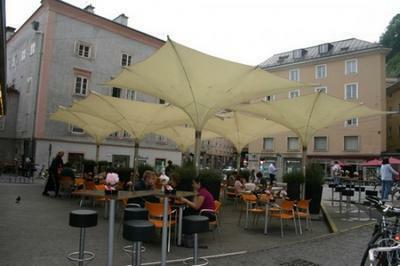 This is a Viennese-style coffee house and its green and white table umbrellas make it an easily identifiable landmark in Salzburg city centre. It's a great place for a cake, coffee or ice-cream, with hot food including omelettes also on the menu. Well, they tend to stay open late enough. This might have a lot to do with how locals like to stay at the table for a few drinks after they've finished their meal. If you're looking for a cheap, quick, tasty snack you should try Bosna. First created in Salzburg, it's probably the most popular local fast food dish. Classic Bosna is made up of two bratwursts on a white bun topped with onions, mustard and a shake of spices. 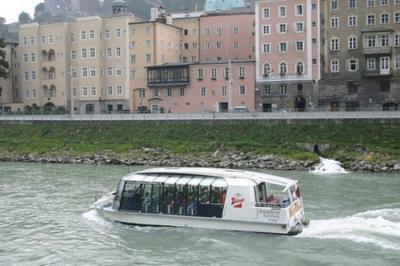 How many different modes of public transport are there in Salzburg? Well there's the Stadtbus network and the S-Bahn lines, as well as buses and trains that link the city with places all over Europe. 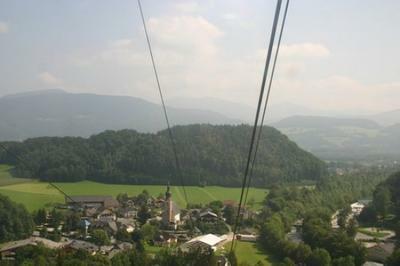 There are also a lot of taxis operating throughout Salzburg. The Stadtbus runs on over 20 lines, with services on busy routes running approximately every 10 minutes or so. A lot of these buses are environmentally friendly trolley buses. The S-Bahn runs along 4 main lines. If you're sticking around the city centre, then probably not. 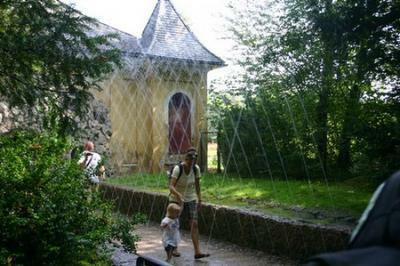 It's easy to get to a lot of the main places of interest on both sides of the Salzach on foot. However, if you want to get out of the city for a while, the bus is the best option.